Nuts about knitting? 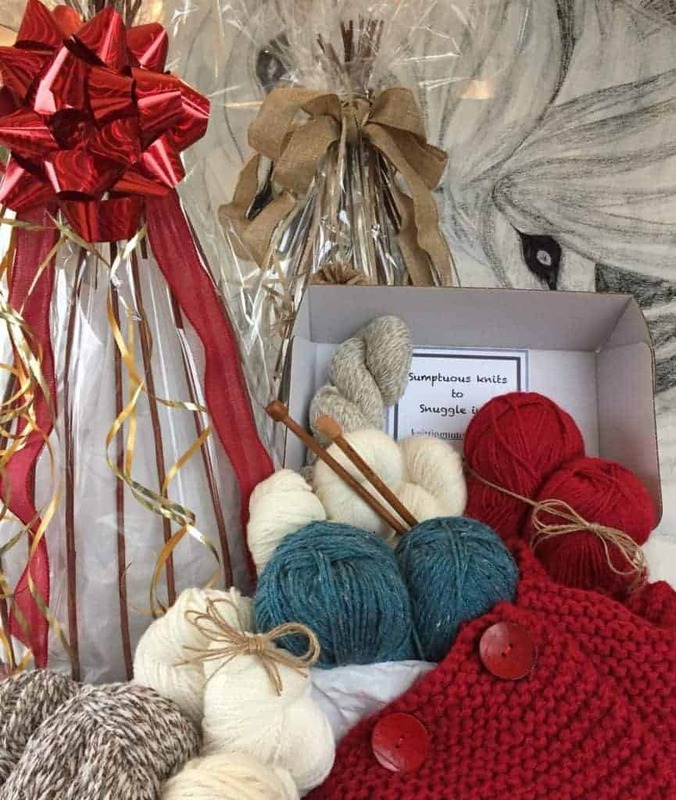 then indulge yourself with one of our surprise knitting subscription boxes, full of sumptuous wools & yarns. Browse and get excited at what you see. With FREE delivery to the UK. There are four must have choices for you. 1. The Full of Wool Box: which is Brimming over with enough wool for you to knit the Now Look sweaters, cardigans, jackets and squooshy woolly cushions. The Full of Wool box will contain 500gms of wool or yarns (DK, Chunkys, Arans). For your summer knitting we have silk and cotton mixes and cool Italian designer yarns. 2. Snuggle into a Knitting Nutcase Accessory Box for smaller knitting delights. What could be more exciting than a box of surprise yarn + pattern + needles + surprises + Knitting Nutcase canvas bag in your first box + and more. Choices 1 & 2: Knit a FREE sweater, starting in the second box is a ‘keep me ball’ to save each month and at the end of your first year you will have all the balls + pattern to knit your FREE sweater. An abundance of Undyed British Wools in our natural wool subscription box. Our Natural British Wools are the softest and most luxurious, spun in England from British Sheep and come with a Woolmark Label. The most luxurious of all, opulently gift wrapped and containing the same natural eco friendly pure wools as the Natural British Wool Box, but much much more wool for the big jackets and sweaters. Say it all with a Love You Basket. Buy Now and support our English Heritage and our British Hill Farmers. 4. Love you Basket: £148.00 one off purchase. How would you rate Knitting Nutcase ?